Posted on 18, March 2019 by EuropaWire PR Editors | This entry was posted in Aviation & Aerospace, Defence, France, Germany, News, Spain, Transportation & Logistics, Travel, United Kingdom and tagged A320neo, AirAsia, Airbus, airlifter A400M, AS365 Dauphin, C295 maritime patrol aircraft, commercial aircraft, Defence, H145 helicopter, H225M, helicopter products, HForce weapons system, Langkawi, Langkawi International Maritime and Aviation Exhibition, LIMA air show, LIMA2019, Malaysia, maritime surveillance solutions, MEASAT-3b, RMAF’s H225M, Royal Malaysian Air Force, space, WeMakeItFly, Zephyr solar-powered unmanned aerial system. Bookmark the permalink. LANGKAWI, Malaysia, 18-Mar-2019 — /EuropaWire/ — Airbus to exhibit its entire range of commercial aircraft, defence, space and helicopter products and services at this year’s LIMA air show in Langkawi, Malaysia. Indeed, Airbus will be the largest international exhibitor at next week’s Langkawi International Maritime and Aviation Exhibition (LIMA) 2019 in Malaysia. LIMA 2019 air show is scheduled for the week 26-30 March at the Mahsuri International Exhibition Centre in Langkawi, Kedah. Airbus stand on LIMA 2019 will be #B537. AirAsia’s operated A320neo will be on the the static display. The Malaysian low-cost carrier is the largest customer for Airbus’s single-aisle aircraft. The new-generation tactical airlifter A400M, operated by the Royal Malaysian Air Force (RMAF) will also be on display along with the CN235 medium aircraft used on transport missions. The Malaysian navy AS555SN Fennec, the RMAF’s H225M, and an AS365 Dauphin operated by Malaysia’s maritime enforcement agency as well as the H145 helicopter used in emergency medical services configuration will also be presented at the LIMA 2019 air show. 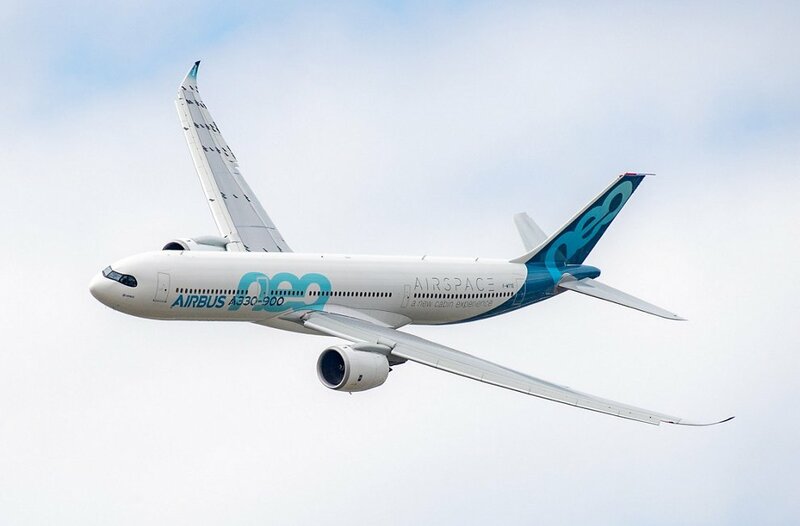 Scale models of Airbus’ new A330neo widebody aircraft, the C295 maritime patrol aircraft, the Zephyr solar-powered unmanned aerial system, as well as the H175 and ACH160 helicopters will be featured at the air show in Langkawi as well. Information on the Airbus’ H145M helicopter fitted with the HForce weapons system as well as intelligence and maritime surveillance solutions from Airbus will be also be available at the company’s stand in Malaysia. Malaysia is an important and strategic market for Airbus having delivered over 700 commercial airliners and more than 100 helicopters to Malaysian customers, and the RMAF is the first export customer for the A400M airlifter. Airbus has also supplied Malaysia’s largest communications satellite MEASAT-3b. Furthermore, suppliers in Malaysia produce major aircraft parts across the Airbus product line making Airbus the biggest partner for Malaysia’s aerospace industry. Airbus has also supported its Malaysian units with investments whereas those units focus on commercial aircraft and helicopter maintenance, repair and overhaul, pilot training, and customer support.